Pittsburgh, PA Health Care Fraud Attorneys - Oberheiden, P.C. Pittsburgh physicians and health care practices – including physicians’ practices, pharmacies, hospitals, toxicology laboratories, hospices, home health caregivers, and others – may be at risk of being targeted in federal health care fraud investigations. First publicly announced in 2017, the Department of Justice is currently spending enormous resources to identify and prosecute health care fraud in Pittsburgh and surrounding communities. It’s time to seek reliable legal advice! Oberheiden, P.C. is a team of former Department of Justice Trial Attorneys, former federal prosecutors, and seasoned defense attorneys with significant experience in health care matters. Many of our attorneys previously served as federal health care fraud prosecutors at various U.S. Attorneys’ Offices and offer clients valuable information when it comes to civil and criminal fraud investigations. Our attorneys have successfully represented physicians, pharmacies, toxicology laboratories, DME companies, home health and hospice agencies, and many more against alleged violations of the Controlled Substances Act, Medicare Fraud, Medicaid Fraud, the Anti-Kickback Statute, and fraud of private insurance plans. Call us immediately if you are concerned about your role or if you are under investigation. As we have for so many others, we will find a way to protect and defend you. We are proud of our long and distinct health care fraud defense track records of obtaining favorable outcomes during investigations and, when necessary, at trial. Health care fraud audits and investigations in Pittsburgh focus on Medicare Fraud (18 U.S.C. 1347), Medicaid Fraud, as well as violations of the Controlled Substances Act (21 U.S.C. 841), the Anti-Kickback Statute (42 U.S.C. 1320a-7b), the Stark Law Statute (42 U.S.C. 1395nn), and the federal False Claims Act (31 U.S.C. 3729-3733). Opioids & Narcotic Diversion. Since late 2017, when the Attorney General of the United States instructed all federal prosecutors to identify and charge those pain medicine prescribing physicians that fall under the Justice Department’s definition of a so-called “pill mill” operators, pain management doctors in Pittsburgh must realize the increased scrutiny and the risks associated with a liberal prescription practice. In this climate of investigations, Pittsburgh doctors and pharmacies need to make a decision: do I risk being possibly the next target or do I seek professional guidance now to protect and defend me? Health Care Fraud & Conspiracy. In criminal health care fraud cases, government prosecutors typically charge the general health care fraud statute or, in cases with multiple defendants, a conspiracy to commit health care fraud. Title 18 U.S.C. Sect. 1347 explains that whoever knowingly or willfully executes or attempts to execute a scheme to defraud any health care benefit program or to obtain, by means of false or fraudulent pretenses, representations, or promises, any of the money or property owned by, or under the custody or control of, any health care benefit program in connection with the delivery of or payment for health care benefits, items, or services, shall be fined or imprisoned of up to 10 years, or both. Oberheiden, P.C. has a track record of avoiding and defending health care fraud charges for clients across the country. Our clients in Pennsylvania have made the experience that they can trust our expertise and we want to do the same for you and your business. Anti-Kickback Statute. Among the most notorious health care fraud statutes is the federal Anti-Kickback Statute. The statute prohibits the knowingly soliciting, paying, and/or accepting any form of remuneration to induce or reward referrals for items or services reimbursed by federal health care programs. See, 42 U.S.C. 1320A-7b(b). Oberheiden, P.C. has a track record of demonstrating to government lawyers that clients accused of Anti-Kickback violations have in fact operated lawfully, namely one of the many exceptions that may apply to alleged violations. If you were notified of an Anti-Kickback investigation, you must understand that a mistake in your defense strategy can mean criminal prosecution with all the consequences that come with it. Thus, don’t experiment. Get Oberheiden, P.C. to work for you. False Claims Act. Oberheiden, P.C. has a distinct history of concluding False Claims Act audit and prosecutions resulting in no civil and no criminal liability outcomes for our clients. The federal False Claims Act applies whenever a false claim is submitted to a federal payor program. A typical example is a claim submission for a code that is not covered (but nonetheless paid) under Medicare. The federal False Claims Act can trigger a civil investigation (see, 31 U.S.C. Sect. 3729-3733) but it also authorizes the government to seek criminal prosecution (see, 18 U.S.C. Sect. 287). Don’t let this happen to your business! Oberheiden, P.C. has successfully defended clients in health care audits, grand jury investigations, and health care fraud prosecutions in virtually every corner of the United States. If you need help to fight Medicare Fraud, Medicaid Fraud, Tricare Fraud, False Claims Act, Qui Tam Defense, Stark Law Violations, or Physician Self-Referral or Controlled Substances Act violations in Pittsburgh or other parts of Pennsylvania and neighboring communities, you should call us. All calls are free and confidential. Q: What are the differences between civil and criminal health care fraud investigations? The main difference between a civil health care fraud investigation and a criminal health care fraud investigation is the potential consequence if the government can actually prove the alleged fraud. In civil cases, the outcome could be a repayment or a monetary fine. Criminal cases are very different because of the possibility of prosecution, felony conviction, program exclusion, license revocation, and incarceration. Often, it is not entirely clear at the beginning of a case whether the matter is civil or criminal in nature. Experienced attorneys will be able to tell you quickly, however. When Oberheiden, P.C. takes on the representation of a new client, one of our first priorities is to intervene in the investigation and determine what type of exposure our client may have and how to minimize it. Q: What steps are involved in defending against a federal health care fraud investigation? 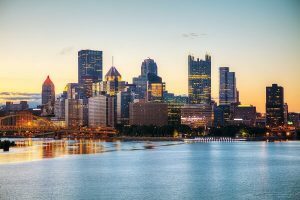 If you are facing an audit or a federal health care fraud investigation in Pittsburgh, Pennsylvania, we encourage you to contact us instantly for a free and confidential case assessment. To speak with our health care fraud defense lawyers about your situation, please call (888) 519-4897 or inquire online now. Subject to our terms and conditions and in accordance with the applicable local rules of United States District Courts and state professional boards, the attorneys of Oberheiden, P.C. may accept engagements in federal cases relating to the following geographical areas either as already admitted counsel, pro hac vice, or in combination with locally licensed counsel. The areas include: Pittsburgh, Dormont, Brentwood, Wilkinsburg, Munhall, Swissvale, Mount Lebanon, Baldwin, Neville Township, Bethel Park, West Mifflin, North Versailles, Franklin Park, Plum, Lower Burrell, New Kensington, Allegheny, Allentown, Arlington, Arlington Heights, Banksville, Bedford Dwellings, Beechview, Beltzhoover, Bloomfield, Bluff, Bon Air, Larimer, Lincoln-Lemington-Belmar, Homewood, Knoxville, Glen Hazel, Friendship, Esplen, East Carnegie, East Hills, Elliott, Fairywood, Fineview, Highland Park, Duquesne Heights, Crafton Heights, Chateau, Chartiers, Central Oakland, Central Northside, Mexican War Streets, Central Business District, Chinatown, Cultural District, Carrick, California-Kirkbride, Brookline, Lincoln Place, Mount Oliver, Shadyside, Regent Square, North Oakland, New Homestead, North Point Breeze, Morningside, Summer Hill, Spring Hill-City View, Saint Clair, Perry South, Oakwood, Overbrook, Terrace Village, Stanton Heights, Sheraden, Swisshelm Park, Duck Hollow, Troy Hill.